Welcome to mediPRO the flexible medical EHR & EMR software system that allows you to manage any Hospital, Clinic, Diagnostic center or Medical institute with ease. Having been developed in conjunction with Doctors, Nurses, mediPRO has been specificially designed to best work for Dental Clinics & Beauty or Aesthetic Clinics. mediPRO includes an amazing set of features that helps clinics and hospitals of any kind to digitalize and fast-track their data for more efficient and higher quality healthcare. mediPRO enhances overall efficiency and productivity by automating any clinical, financial, operational and management processes for medical clinics or institution of any type and size. 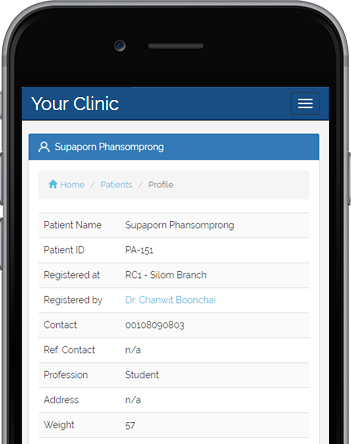 With the built-in flexible schedule, Doctors can define their own availability ensuring maximum overview within your medical practice. 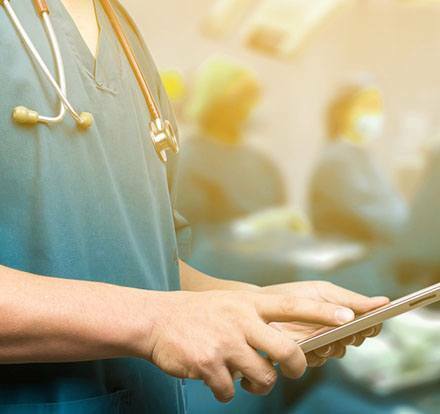 Being cloud based and featuring the latest in web-technology, mediPRO works on any device, this allows Doctors to log-in and access crucial data from any Desktop, Mac, Tablet or Smartphone. Avoid confusion, system abuse and possible mismanagement by setting up and granting distincive access levels based on your staff types. Spend less time evaluating performance. mediPRO keeps track of everything by logging every action throughout the day. Live updates will make your clinic more efficient and will result in less time managing your ongoing or upcoming queues. Keep you financial record organized and transparent. mediPRO reduces time spent on managing records with simplified financial statistics. Keep your clinic operations running without any interruptions and receive a heads-up as soon as any of your inventory items is low. The built-in usage Chart-Graph gives you quick insights into recent medicines usage and helps you manage your inventory efficiently. mediPRO is an effortless Patient Management System that helps your clinic or medical institution to keep your Patients’ appointments or data well organized and right at your fingertips, so critical information or Electronic Health Records can be accessed when needed. mediPRO evolves all around security. With complete control of data privacy, information of you and your Patient is always protected. Reduce the time spent shuffling through paper documents and keep your Patients' medical records and data in one centralized system. Realtime updates on your Patients, Doctors and Staff progress keeps your clinic’s workflow in check ensuring maximum productivity. mediPRO can be used for multiple branches and make collaboration across all your clinics possible, regardless of their location. We have developed mediPRO with multi-language capabilities and localization, so your staff can use it in their desired language. Need any particular new functions? No problem! At Sierra IT Group we are available to further customize mediPRO to best suit your needs! Interested in mediPRO for your Clinic? mediPRO is very intuitive and super easy to use. Additionally and free of charge we also provide full training to get you started. Do I need to install any app? No! mediPRO is fully cloud based and works on any device's web browser and stores all the information in our top-level security private cloud servers. So Mac or PC, iPad or Andriod tablet, iPhone or Samsung; mediPRO runs on everything. All our servers are stored in secure facilities and are monitored 24/7. We use 256 bit SSL encryption to secure the connection between the user and our servers. Currently we run multiple database servers in our primary and secondary facilities which all synchronize continuously. These servers are also backed up nightly to separate backup servers in two facilities. Top level security is at the Heart of Sierra IT Group and Business continuance is a requirement for our clients, therefore data management is of the utmost importance. In other words, the information stored within your installation of mediPRO has a higher level of security than a majorit of other services online. mediPRO can accommodate any type of clinic, from a one-person operation to larger private jospitals. We can customize each installation individually and create or optimize features to suit your particular needs. Realizing the inevitable departure of the paper office we moved to an online system. Sierra IT Group assisted with the transition from paperless to a secure online system. The system mediPRO met the criteria we were looking for and has all the features such as appointment calendar and schedule, EHR records and clinic management. Using mediPRO really saved us a lot time and has improved front office and clinic.